Joe Schmidt has left little room for experimentation on Ireland's tour of Australia after naming a 32-man squad yesterday that is locked and loaded with Grand Slam stars for the three-Test tour. If the World Cup was to start next month, this is close to the squad the head coach would pick. The New Zealander has decided against resting the Irish Lions who toured his home country last summer, or some who are recovering from injury. 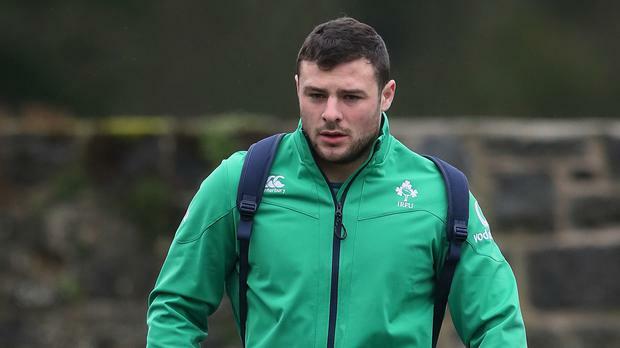 Ireland are confident that Robbie Henshaw, Bundee Aki and Iain Henderson will be fit to make the trip. Henshaw and Henderson suffered knee injuries in the final weeks of the season, while Aki was pulled from captaining the Barbarians against England on Sunday. Henderson has spent this week working with the IRFU medical team in Dublin and they are happy with his progress, while Henshaw will miss Saturday's Guinness PRO14 final against Scarlets but is on track to travel. Aki's withdrawal was precautionary, according to a union spokesman. Schmidt yesterday named uncapped duo Ross Byrne and Tadhg Beirne in a strong panel for the end-of-season games. "This has probably been the most difficult selection process for the coaching group to date," he said. "We made the final decisions which included a number of very tough calls and some players are incredibly unlucky to miss out on selection. "Over the past couple of months the national coaches have spent time in the provinces and been in communication with the provincial coaches who have done a super job in managing the players." Meanwhile, Ulster have been hit by a big blow with news that Luke Marshall (knee) and Louis Ludik (hamstring) will miss most of next season after suffering serious injuries in last week's play-off against Ospreys. Elsewhere, Leinster are close to agreeing a move for teenage Wasps academy back Aaron O'Sullivan for next season. An Ireland underage international, the back-three player made his senior debut for the Premiership club in December.